If you’re looking for a knowledgeable, skilled and experienced Monterey Eye Doctor then look no further than the Monterey Bay Eye Center. MBEC takes a team approach to comprehensive eye care and laser vision correction. The ophthalmologists and optometrists here in Monterey CA focus on identifying and treating all diseases and conditions of the eye carefully monitoring our patients. Our central location at: 21 Upper Ragsdale Drive, Suite 200 in Ryan Ranch is easy to access and provides patients with ample parking. We are the Monterey eye doctor experts who work continuously to ensure patients have exceptional care at affordable rates. Monterey Bay Eye Center, we are vested in improving your life through vision correction, #831.372.1500. 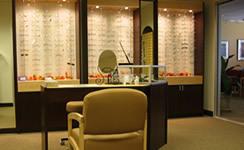 Our optical center is an excellent source for the latest in eyewear trends and frames. By working with our master opticians and optometrists here in beautiful Montery CA, you can relax knowing we will fit each frame with the proper lens whether it’s a digital progressive, transition, or standard lens. We initiate each encounter by asking our patients to identify what’s most important to them, i.e., budget, eyewear type (readers, sunglasses, computer glasses, etc. ), durability, and so on. Rest assured, we have eyewear solutions for every budget. Dr. Chang is particularly adept in fitting patients with contact lenses most ideally matched for their vision and lifestyle needs. Ask about our multiple contact lens options. Patients are encouraged to contact the MBEC eye doctor on-call for any after hour emergencies before going to the nearest emergency room. Prescription refills and routine problems will be addressed during regular business hours. an appointment or are picking-up an order #831.655.6488. 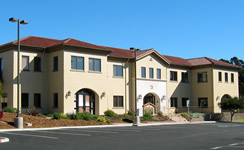 Monterey Bay Eye Center participates with most medical plans, including Medicare, VSP, and MES. Additional financing options ay be available upon request. We strongly encourage our patients to check with their carriers for individual coverage and cost-share. We also encourage our patients to use their HSA plans to help offset possible out of pocket expenses associated with their eyecare. HSA plans can be used in conjunction with your regular insurance, or even in cases where procedures are uncovered by carriers. Most insurance companies consider many eye procedures such as lens replacements and refractive surgery to be an elective procedure, so it is often not covered under basic health or vision plans. Because we feel that finances shouldn’t stand in the way of clearer vision, Monterey Bay Eye Center has developed the following payment options to assist in making corrective surgery as affordable as possible. CareCredit is here to help you pay for treatments and procedures. CareCredit, North America’s leading financing resource for healthcare expenses, lets you begin your treatment immediately – then pay for it over time with low monthly payments that fit easily into your monthly budget. Now you don’t have to save up for years to finally get the vision you’ve always wanted.